- Material: Durable and healthy plastic. - Including 3 different types of clubs, 2 practice holes with flags and 2 golf balls. - Suitable for kids above 3 years old. 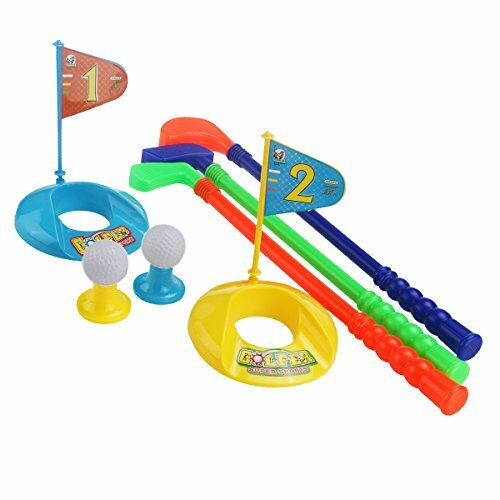 This Item is a Set of Children's Plastic Golf Set Golfer Toy, which including 3 different types of golf clubs, 2 practice golf holes with golf flags and 2 golf balls.